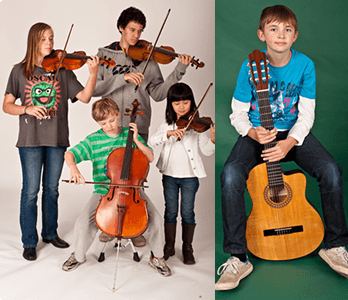 This Concert series is open to all Violin, Piano, Cello, Viola, Guitar, Flute & Recorder students as soloists or in groups who would like the opportunity to play with an accompanist in a friendly and supportive environment. This is an ideal opportunity for students to gain valuable experience at performing to an appreciative audience. It is a great motivation for the performer to focus on bringing their repertoire up to a high standard. There is nothing like performing at a concert and being appreciated. It also highlights the gift of music by sharing with others. Please ensure that your children/students are well prepared for these concerts so that they can have a really wonderful and positive experience. We will also be offering a quick rehearsal for tempo check with our accompanist. Teachers (only) can enrol your students (to ensure your students are all in the same concert). Please use Studio Enrolment Form - for Teacher Only to enrol your studio. If you have more than 10 students, please submit 2 forms. You need to enter the length of the piece played in minutes, please. COSTS for Piano Students - all level $16 per student/piece. Each concert time is approximately 60 - 90mins. Please choose one of the following time slots when you register. Places for this are strictly limited. Placement will be allocated in order of applications received. No cancellation or refund will be allowed once enrolment is received.